FISKARS Circle Cutter instantly cuts perfect circles every time and is ideal for either left or right handed use. 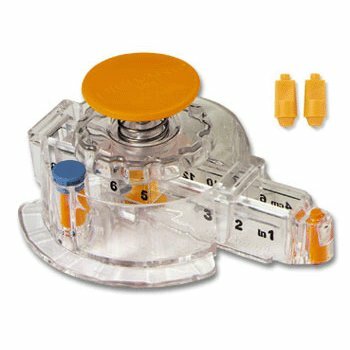 Its unique, clear base lets you see exactly where you’re positioning your cut. The adjustable cutting arm enables you to cut circles from 1” to 8”. Plus, you have the option of using the needle point for precise realignment or using the gripper foot for circles without pinholes. It’s the perfect tool for paper crafting, scrapbooking, button making, and more. Includes two blades. How Do You Rate Your Fiskars Circle Cutter? Let us know what you think of your Fiskars Circle Cutter. Should we buy one too?